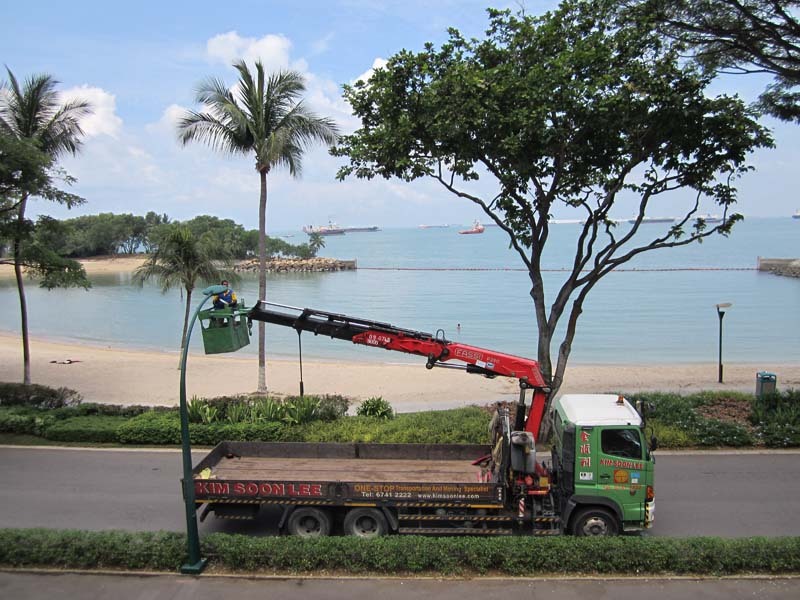 Lorry crane, a local term used in Singapore to refer to “Crane Mounted on lorries”, is one of the most common vehicles engaged in the lifting and transporting cargoes throughout the island. It’s popularity is synonomous with Singapore’s special condition – a very small nation yet with densely built up areas. Such constraint paved way for the emergence of a type of vehicle able to perform self loading and unloading, yet small, agile and easily operated. Lorry crane without a doubt, fitted this bill perfectly well. 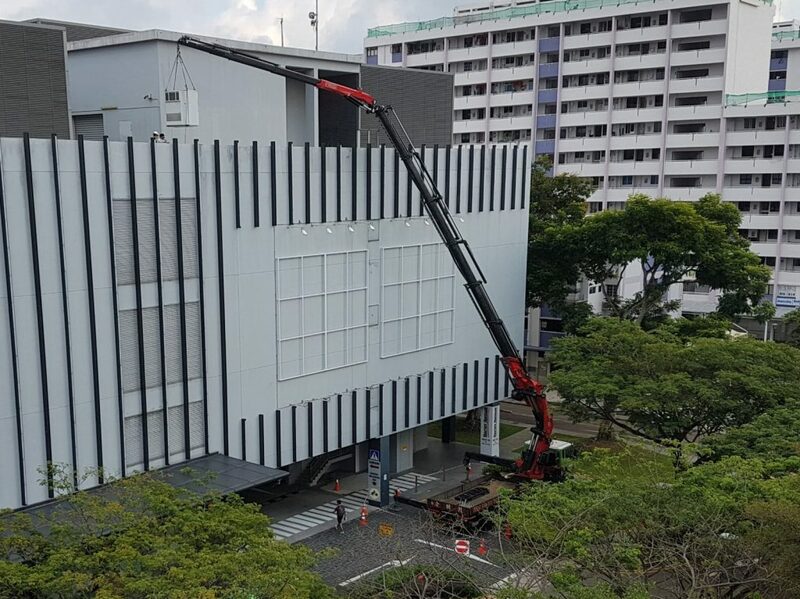 Foreseeing the growth of such form of transport in Singapore, Kim Soon Lee has since 2002, aggressively expanded and upgraded its lorry crane fleet. By end 2016, the company had 85 units of such vehicles, with capacity ranging from 10 to 110 tonnes. 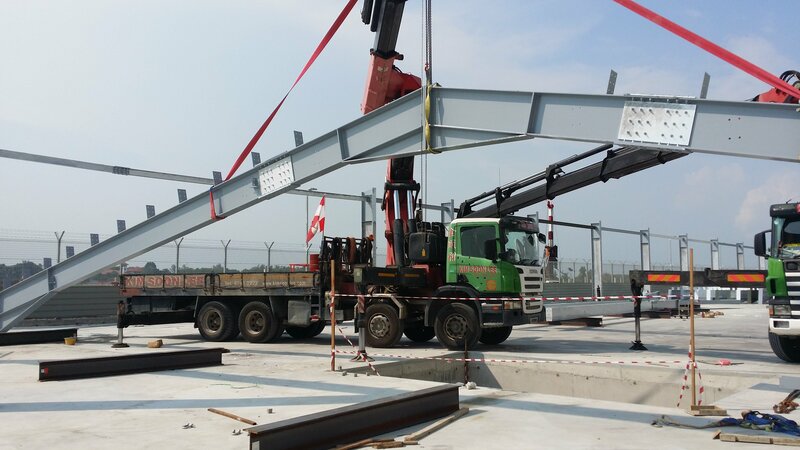 This great number and its wide selection enable us to appoint the right cranes for the right jobs, cutting wastage and optimizing crane utilization which in turn, translate into cost savings and enabling us to be more competitive in pricing. 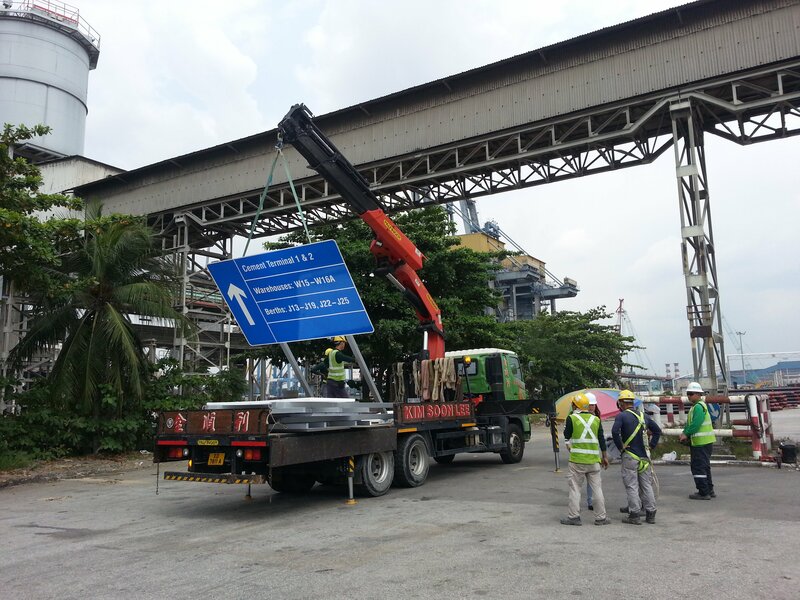 In addition, our numerical superiority in lorry cranes also gives us flexibility in vehicle deployment and also enable us to accept and execute last minute job requests more effectively – another plus point where service is concerned. 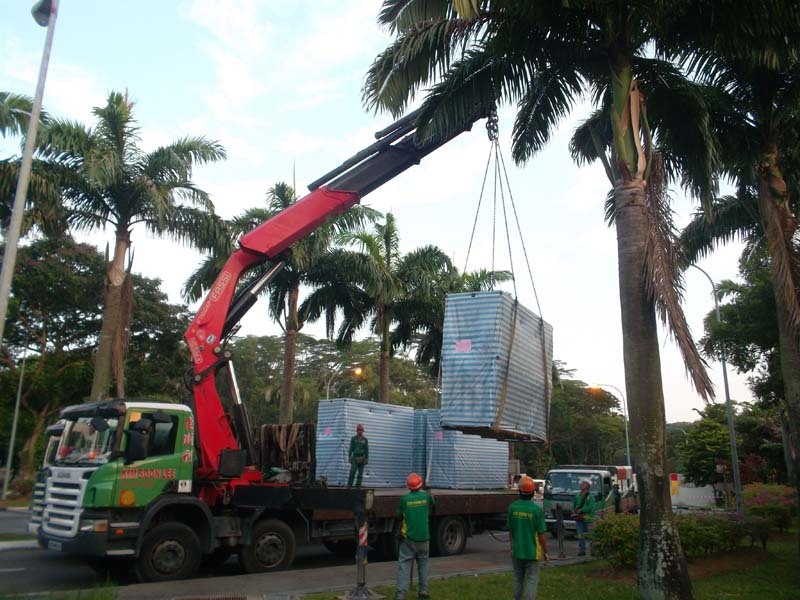 Number aside, great emphasis is also placed on quality and age of the lorry cranes. Indeed, as of October 2016, 75 percent of our lorry cranes are 8 years or younger and 65 percent of them are fitted with remote controlled levers. 6 of the cranes even have detachable fly-jib with winch – reaching up to 45 metres high when all the booms are fully entended. 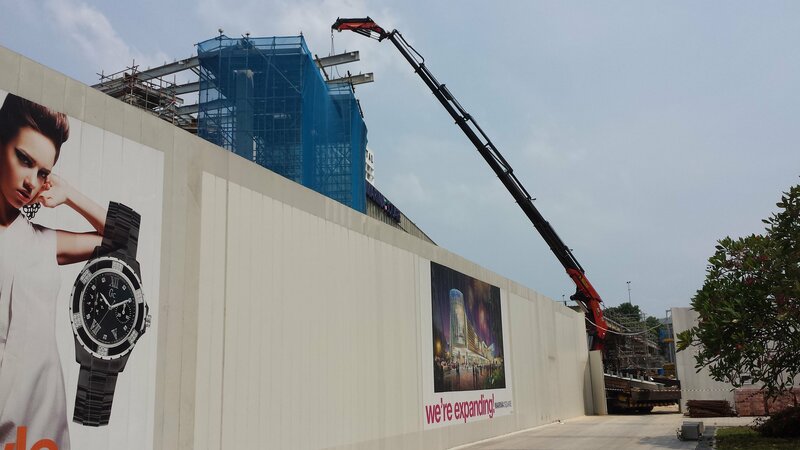 Another 2 of them are of 110 tonne capacity, amongst the biggest in Singapore and able to lift a single load of up to 30 tonnes. 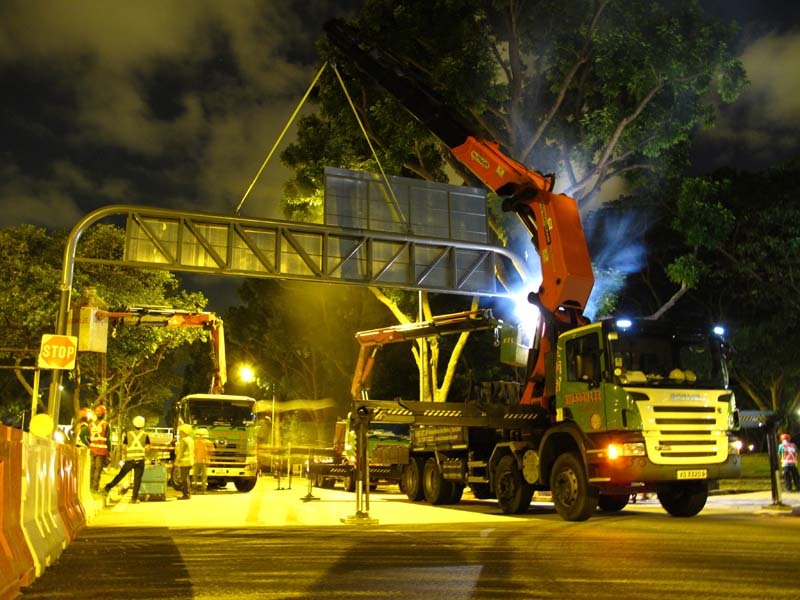 Kim Soon Lee is in the forefront of lorry crane technological advancement in Singapore. Already, the company possesses one of the largest fleet of such vehicles in Singapore. 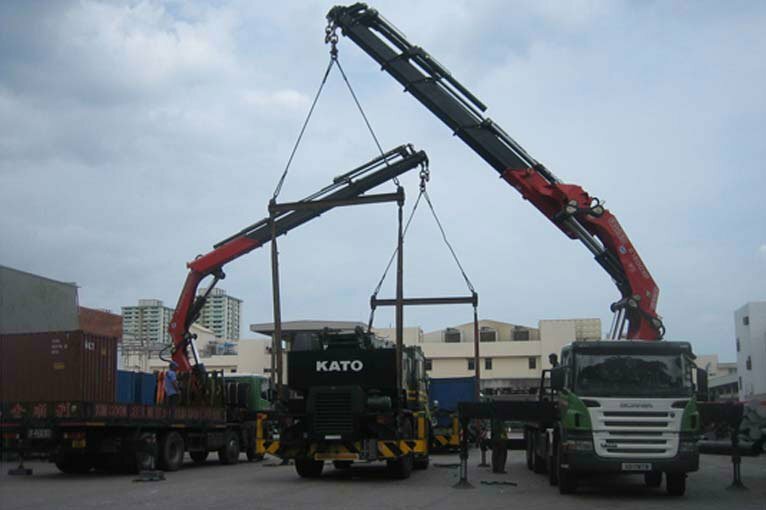 Where necessary, it will continue to bring in bigger and more sophisticated cranes to satisfy the needs of our wide range of customers.